"The emerging Church is a part of cultural change, but it also challenges the priorities of culture in the name of a liberating and humanising grace and challenge from God that is truly revolutionary. I can see Western Christians coming to shed the straitjacket of consumerism and passivity, for instance, finding a more intentional discipleship in the way they live, work and pursue relationships. They will be assisted by transformed institutional and leadership dynamics in the Church, and their vision will be enriched and reinforced by a renewal of liturgical life." Revd Dr Scott Cowdell in his book 'God's Next Big Thing: Discovering the Future Church', John Garratt Publishing, Mulgrave, 2004. p. 2. "it is not our job to make it happen. The Church is always and everywhere God's gift, God's creation, God's miracle in the ambiguous terrain of the human heart, rather than our own project, our own achievement." Revd Dr Scott Cowdell in his book 'God's Next Big Thing: Discovering the Future Church', John Garratt Publishing, Mulgrave, 2004. pp. 1-2. And just like that this incredible experience is over and I'm on my way home. I'm sad, but I have a lot of work to do back in Perth launching the Five Leaf Eco-Awards and my new Churches for Conservation project so I suppose I won't have too much time to miss everyone. Besides, I don't believe this is the end. I'm looking forward to continuing to work with my new friends around this world to try and bring some of the hope and light of our faith into our future. Today we completed our presentations, completed a recap, wrote each other a bunch of nice letters and then had a final night party. Having trouble believing that I have to go home and leave all my new friends. Today we began to plan our projects for when we return home. We talked about goal setting and drafting our project plan. Today was Sunday, so we started the day by going to the local church of one of the South African members of our group. The singing was incredible - I wish I had understood more of the words. I was also intrigued to sit through an almost hour long lecture on HIV/AIDs and how to avoid it (the previous Thursday was World AIDs Day). I thought this was a nice example of how churches can be used to disseminate important information within their communities. After lunch a smaller group of us went to the Botanic Gardens. We saw a host of animals and plants and I really enjoyed it. Stanislau even got chased by some monkeys when he got a bit too close. They also had these amazing little half fluro orange and half black finches I couldn't help wondering over and a display called the Beehive, which was a dome of recycled materials with plants inside and out - very cool. Today's march was a pretty incredible experience. I have never been part of such a huge march, where even at high points you couldn't see anywhere near the end as we marched for k's through the city of Durban, past the ICC and to the beach. I also got to hold my first placard - pictures of an old lady and a younger man (one each side) with the text "Climate Change kills me". I also helped carry both the Youth for Eco-Justice and Polluters Pay banners at different points in the march. One thing that made an impression on me was talking to a girl who came to help with our banner. She was from one of the African dictatorships and was quite excited to be protesting because if she tried the same at home she would be beaten up. This reminds me how lucky we are in Australia and makes me almost wish we had a bit more of a culture of protesting. For vitally important issues like Climate Change, perhaps we should all get off our couches a bit more often to show that we care. Today we discussed theological and ethical perspectives on eco-nomy. Michael Schut, Environmental Officer for the Episcopal Church USA, was our guide. 1. Turning stones to bread - the temptation to prove who you are by demonstrating your abilities. 2. Angels will bear you up - the temptation to prove who you are by how others react and respond to you. 3. All will be given to you - the temptation to prove who you are by what you have - your status, power and wealth. As you can see, each of these temptations is part of the temptation to prove who we are, which is why the Devil taunts Jesus in each line by saying "If you are the Son of God", when clearly the Devil knew who he was. This constant need to prove ourselves makes us slaves to sin by becoming an entrapping cycle and not allowing us to simply rest in our identities as the beloveds of God. We can see the outworking of these temptations and our falling to them in the way our economy is currently set up. In contrast to this "God's interest is in building a world where all creatures can have abundant life" (Doug Metes, God's Economy). You will note that advertising is usually based on one of these three temptations and triggering our need to prove ourselves in one of these areas. We then discussed which of the temptations resonate the most with us and which communities in our lives help us to resist these temptations (hopefully our churches, but not always). Next we discussed the circular nature of Nature's Economy, where "waste" becomes food, the system draws on local resources that have limits, the system is essentially closed (excepting solar energy) and unique communities of place are created. In contrast, the current dominant human economy is more like a line, where labour, resources and commodities go in, advertising is added and waste and negative externalities are created in the quest to make stuff. In this system communities are only valuable as sources of resources, consumers or somewhere to dump waste. Question for thought: What are the theologies of these two economies? This is really quite an interesting question as you delve into it deeply. Let me know what you think. Thus, the aim for a more sustainable economy is to move towards a circle from the line. We can do this by bending the line (eg. Cradle to Cradle design) or by moving to support economies that are already circular. In a circular system perhaps money has to be tied to something real. And we might need to work towards something like a Genuine Progress Indicator (GPI) instead of the GDP. This would, for example, put a monetary value on parents caring for their children at home instead of this causing a reduction in GDP as opposed to someone else being paid for childcare. We also discussed how we have turned faith into insurance policies on salvation and sources of entertainment. We have become goal minded about our faith instead of focusing on right relationships. Book -"Money and Faith: the search for enough"
During the afternoon session we developed our visions for what we want to achieve and shared these with each other. "So, we have finally done it. 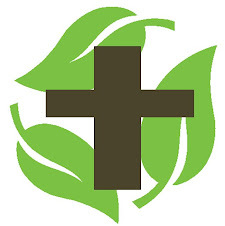 Every church in the country now has at least a Basic Certificate level Five Leaf Eco-Award (for more info on the program see the pages section of this blog). Five Leaf has become a large organisation with solid funding, many staff and a range of divisions. We hold national awards ceremonies for all faiths each year. Also, we have managed to green all Christian venues, theological colleges and Christian universities as well as all church organisations. We have taught all churches in Australia to care about the environment and everyone is familiar with Creation Care Theoloogy and tries to love sustainably at home and church. We have new creation hymns, youth green groups, and big ecumenical outdoor festivals areound the Season of Creation. Everyone does their bit for social and environmental justice and the Australian church has become a credible and powerful advocate for environmental issues both nationally and internationally. Especially exciting is that churches around Australia are now involved in species conservation and wildlife rescue. In addition, they regularly buy land containig important habitats to protect it. We have taught the people of Western Australia and all over the country to love their unique biodiversity and landscapes and to protect them. Finally, these actions have made the church once again relevant to our society and congregations are growing and expanding rapidly." After dinner we had a panel discussion with some members of Ecumenical organisations about the progress at COP17. Youth for Eco-Justice Quotes Day 7: "Our theology and worldview really do express themselves in the way we live in the world"
Youth for Eco-Justice Quotes Day 7: "I don't think that living compassionately is fundamentally about following a list"
Yourh for Eco-Justice Quotes Day 7: "The real difference you can make is at home"
Today we played a simulation game where we all had different roles and we had to try and negotiate and advice a council around the change of water supply from public to private in 'Kolkata'. I was one of the people representing the Ecumenical Council of Churches of Kolkata. It was quite fun and interesting because we were able to take a leadership role within the civil societies by developing a list of demands for the company before they could go ahead with the privatisation to ensure that the poor and the environment would get a good deal. We thought we had done quite well, but after the game finished it was revealed that we had failed to secure any promise from the company not to fire the workers currently employed in providing the water supply. It was a real 'doh' moment and it was educational because I think we should have been more suspicious about how easily the company agreed to all our demands - something to keep in mind for future negotiations.